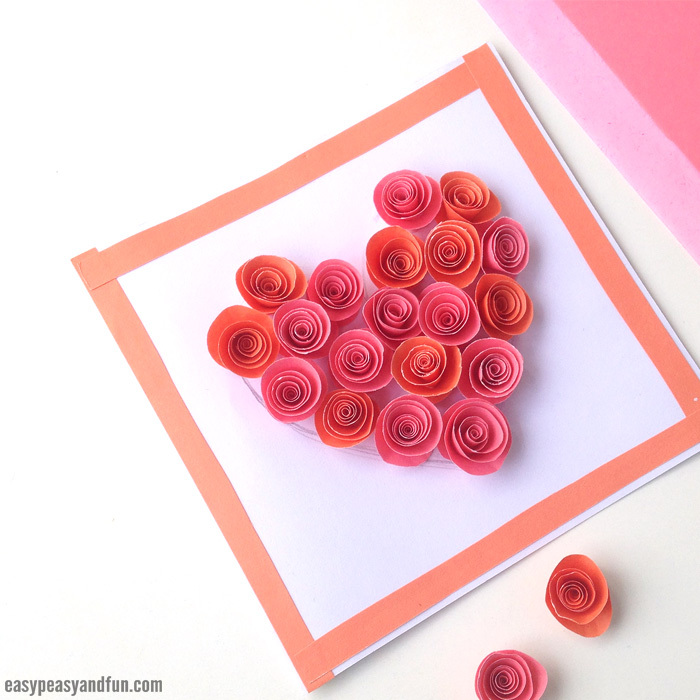 We’re back with another cute homemade Valentine’s day card you or your kids can make – this time we are showing you how to make a rose filled heart card. 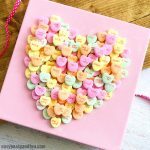 We love spreading the love with our DIY Valentine’s day ideas for kids and kids at heart and are excited to add this one to our collection. 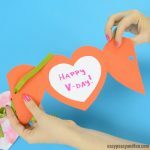 You can make this as a DIY card or as a lovely V-day decoration for your home, it’s really easy to make and has that wow-factor that will impress. 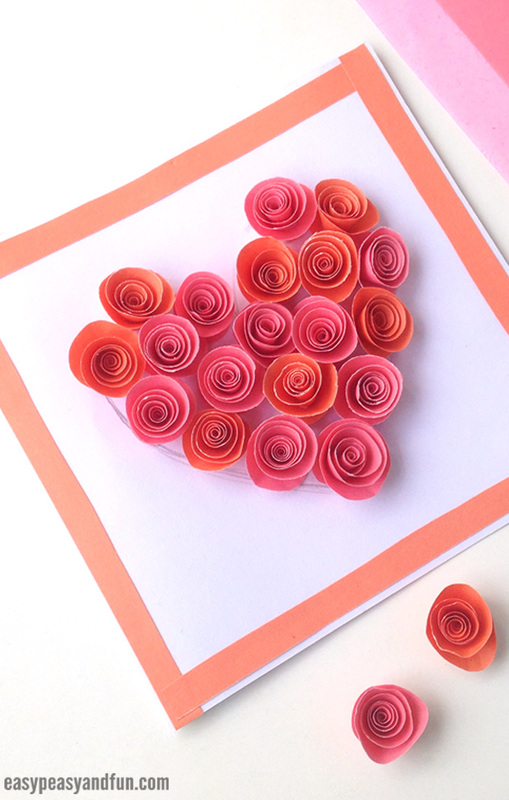 The little swirls of paper look like roses, a perfect flower to use in your V-day crafts. Ready to make your own? 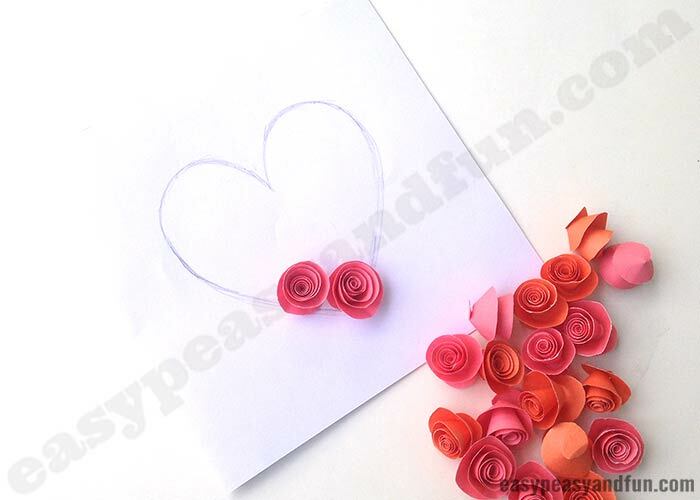 Print our craft template and get crafting! You can use any color for the base card, we went with white constrruction paper in this tutorial. You can make it any shape you want, square or rectangular. 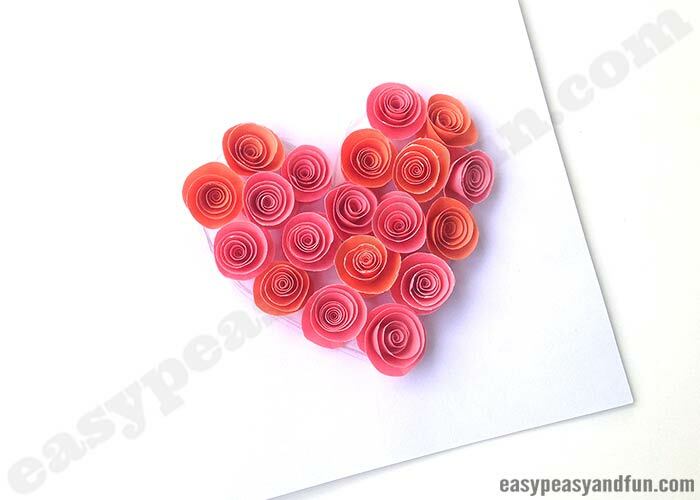 We think a square ones looks nicest, unless you will also add a message on the card. 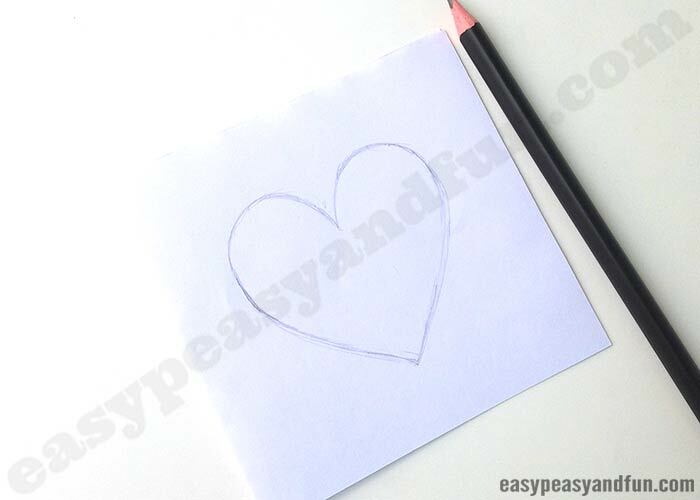 Draw a heart shape on the paper with a pencil. 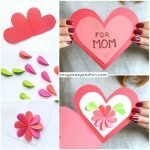 Cut a round shape out of color construction paper (we have a template for this part if you need some help at the end of this tutorial). 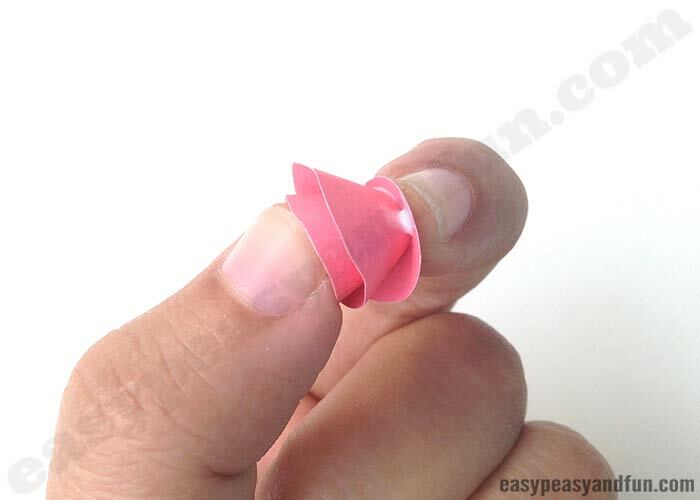 Cut it into a spiral. 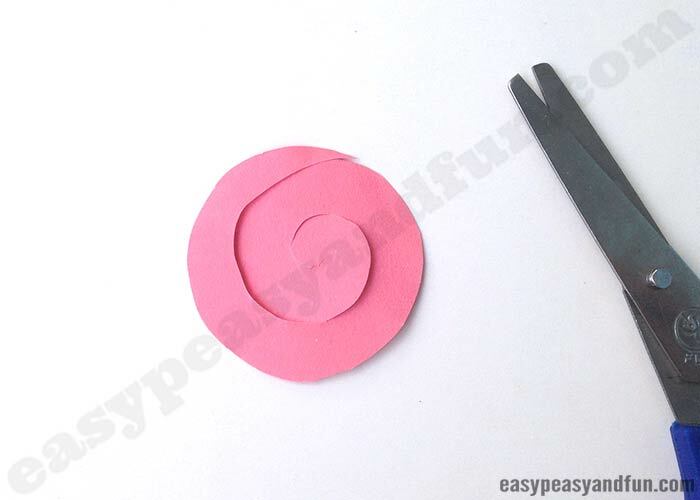 Take the spiral paper and start to rolling it from the outer edge. Keep rolling the spiral pattern until you reach the center. 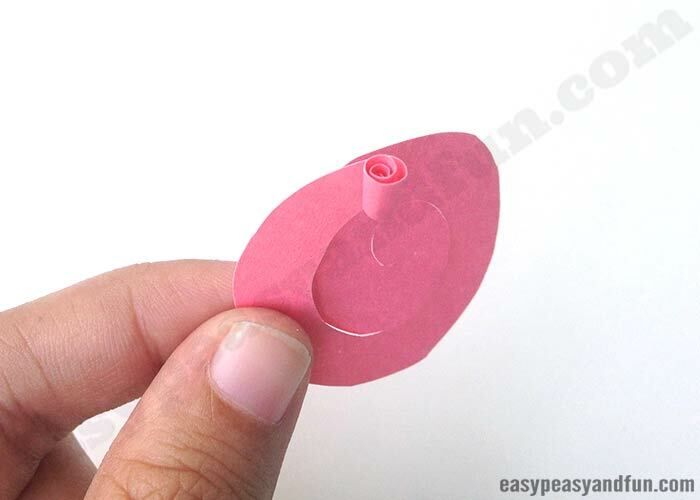 Secure the rose by applying glue on the end of the paper spiral and pushing it under the flower (glue it on the bottom). White school glue is best. 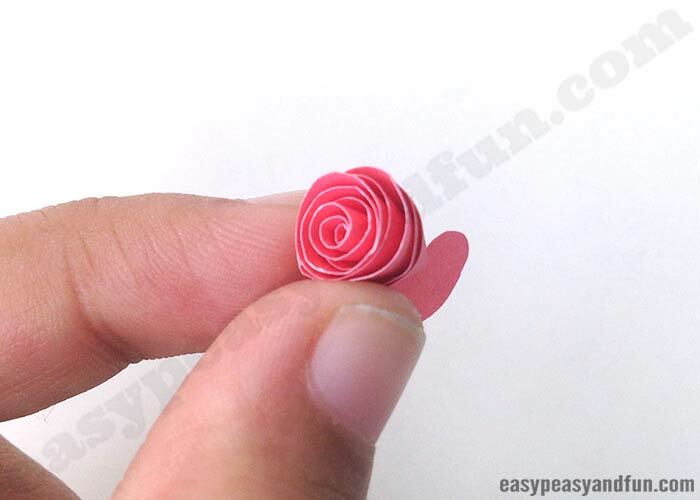 Press down the roll on the center, this will secure and glue all parts of the rose. 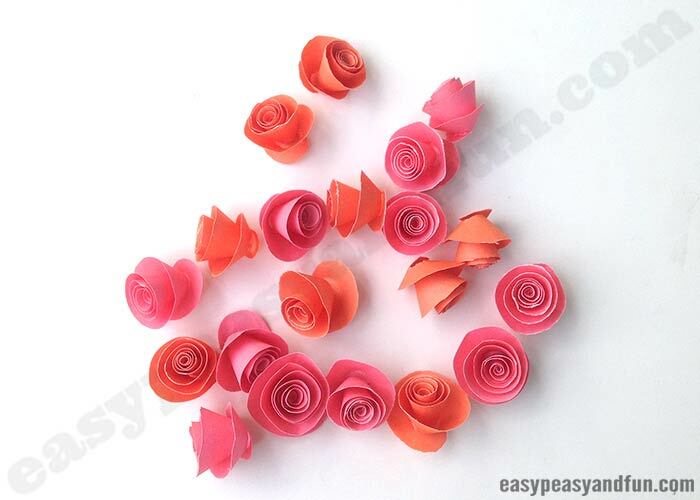 Done making the roses? 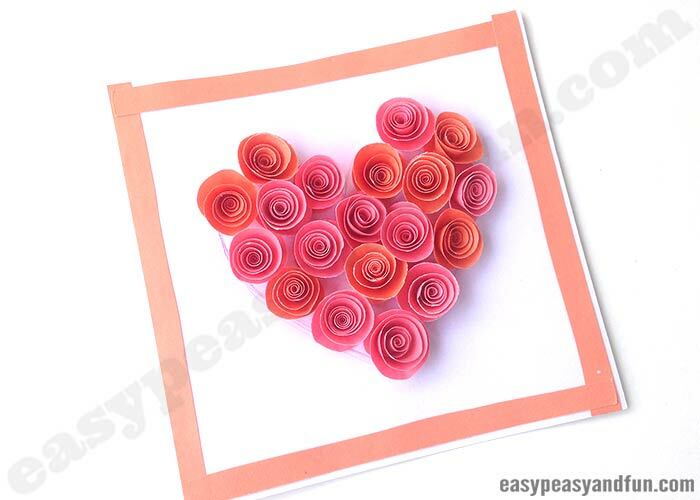 Take the card and start sticking them inside the traced heart pattern on the card. 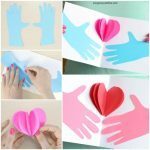 It’s best to start gluing them along the outer edge of the heart shape. 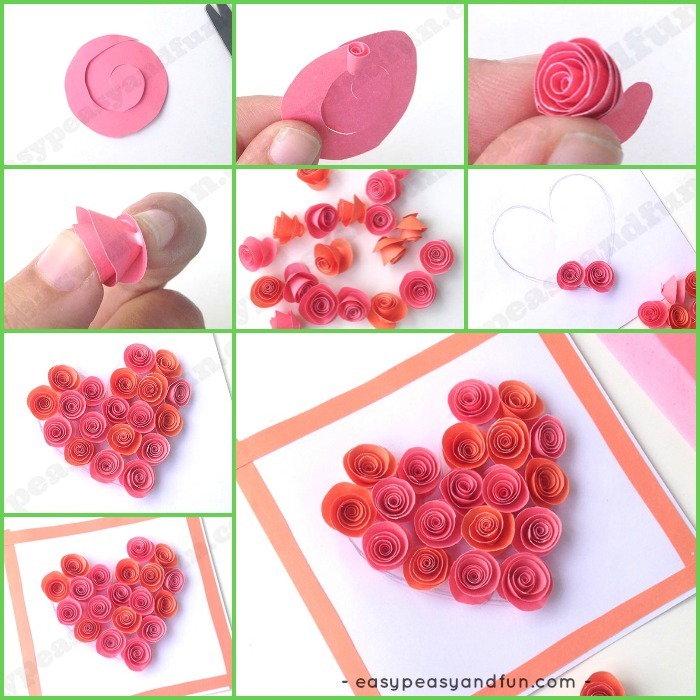 Fill the heart pattern with the paper roses. 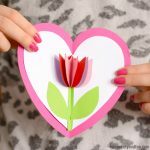 Once you are done filling the heart, set the card aside for a while for the glue to set. 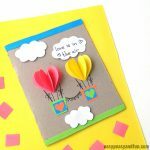 Take 4 thin strips of colored papers and glue them along the sides of the card to make it even prettier.